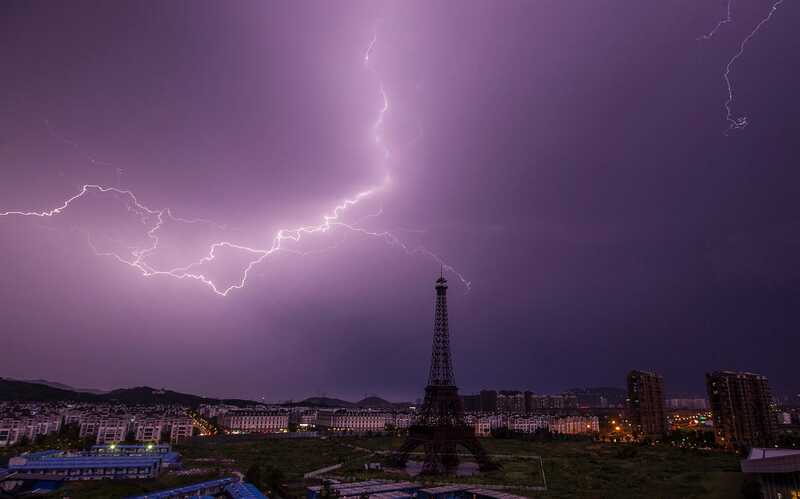 Thread: WOW.. Paris in China.. 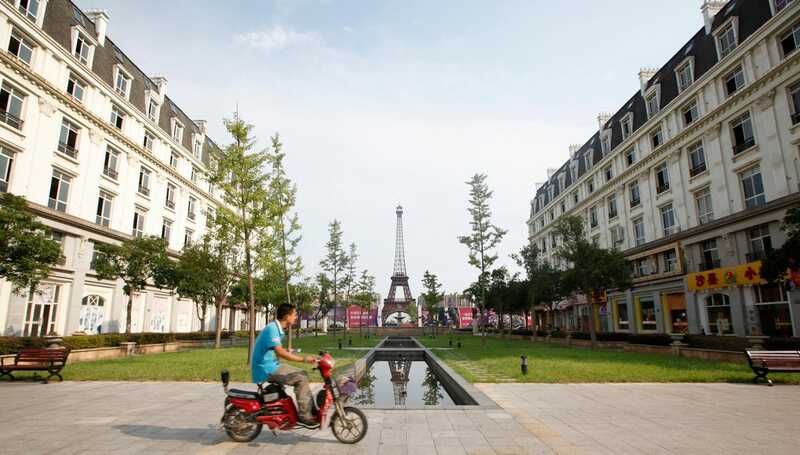 Images from a knock-off Paris in China. 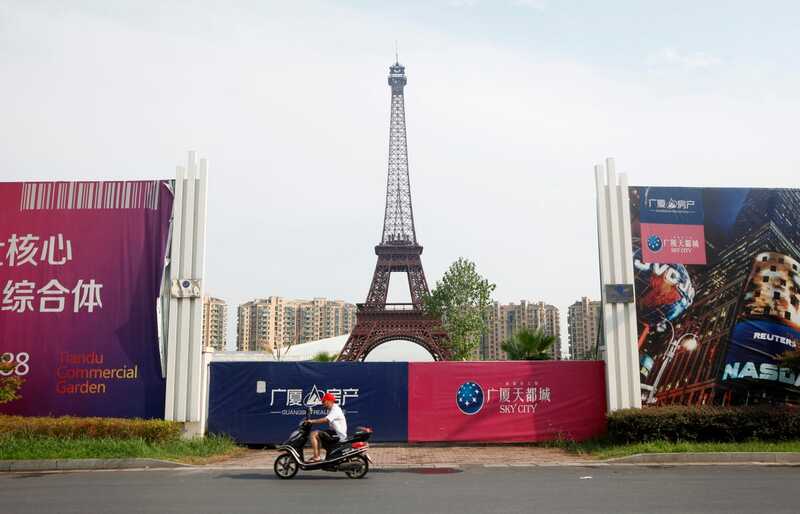 Tianducheng, developed by Zhejiang Guangsha Co. Ltd., started construction in 2007 with a scaled replica of the Eiffel Tower standing at 108 metres (354 ft) and Parisian houses. Although designed to accommodate at least 10 thousand people, Tianducheng remains sparsely populated and is now considered as a "ghost town", according to local media. 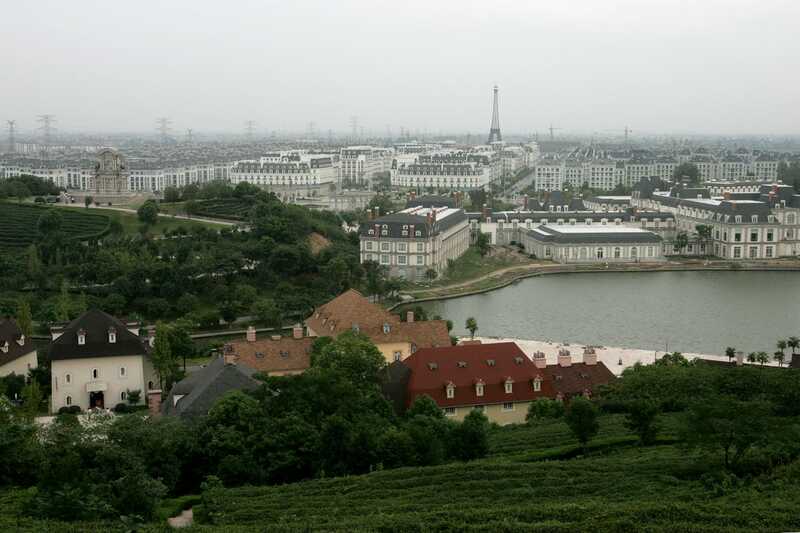 Tianducheng, a Paris replica, began to be developed in China in 2007. 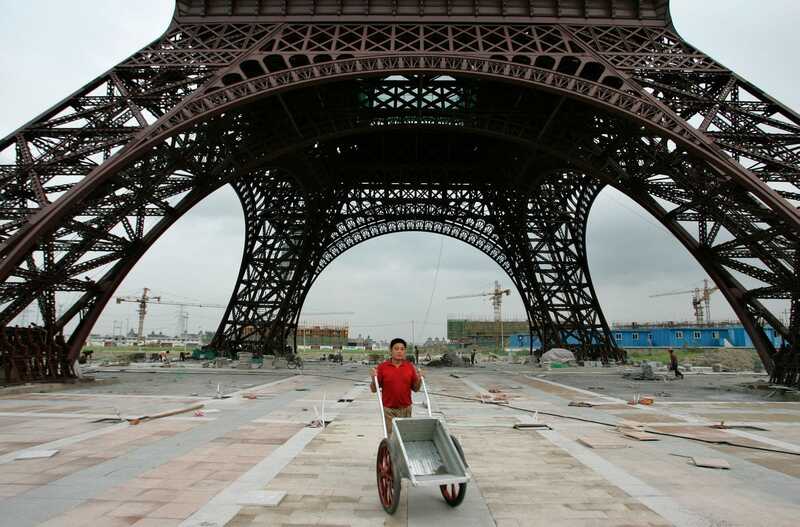 The replica of the Eiffel tower is 108 meters (354 feet) tall. The actual Eiffel tower is 3x as tall. There’s even a “gated community” that occupies 12 square miles. As few as 2,000 are said to be there but there is very little information available on Tianducheng. The developers also planned to create a school, hospital, and a country club. 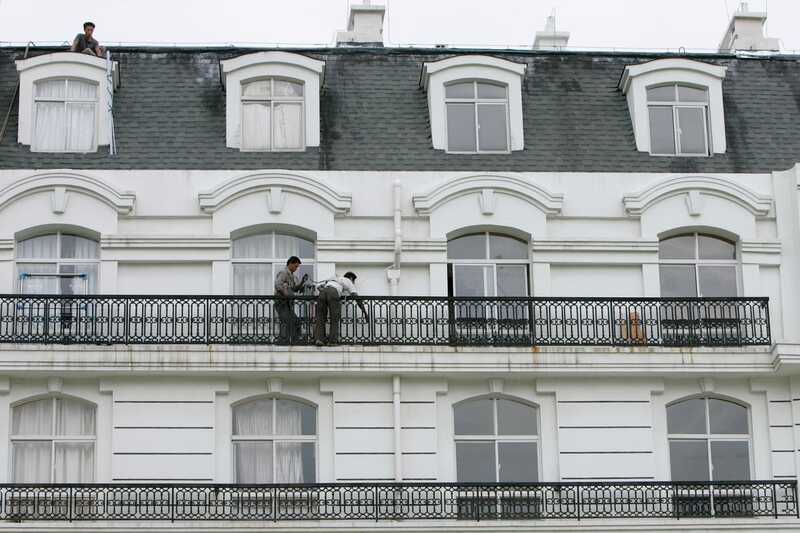 Newlyweds often visit Tianducheng and have photographs taken here. So that’s one thing going for it. 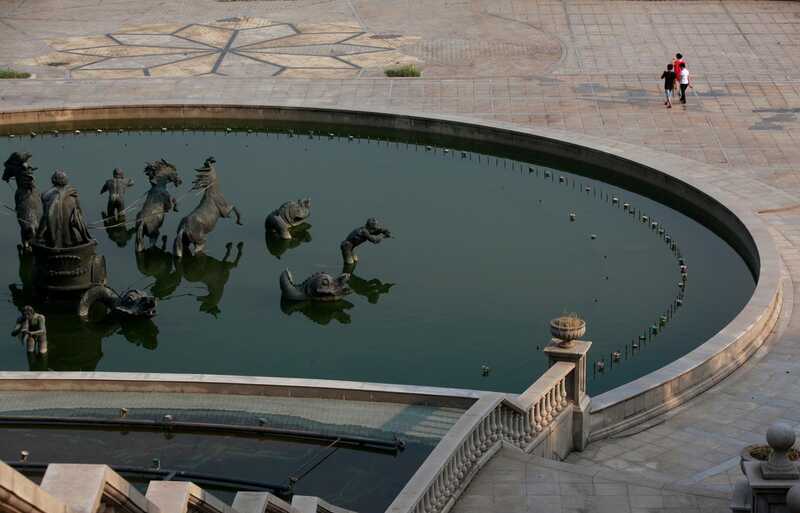 They even built a fountain inspired by the famous fountain in the gardens of the Palace of Versailles. 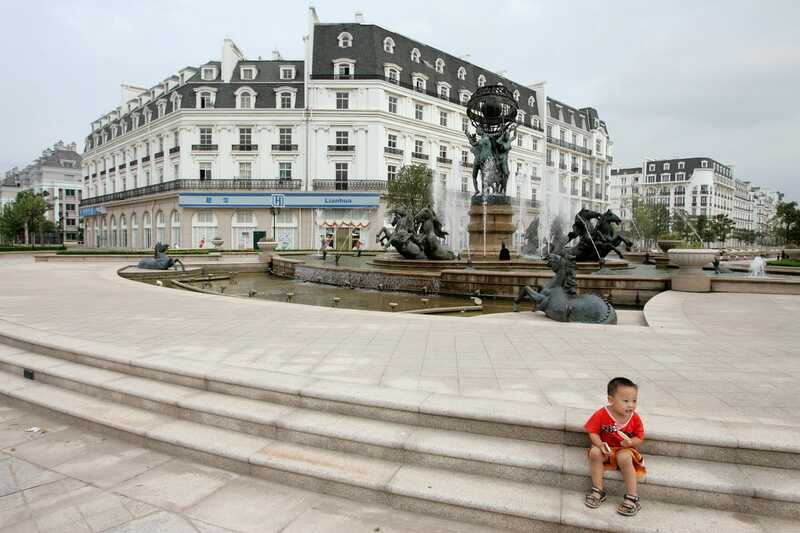 The town was “spurred by common notions of France as a romantic destination,” according to Reuters. 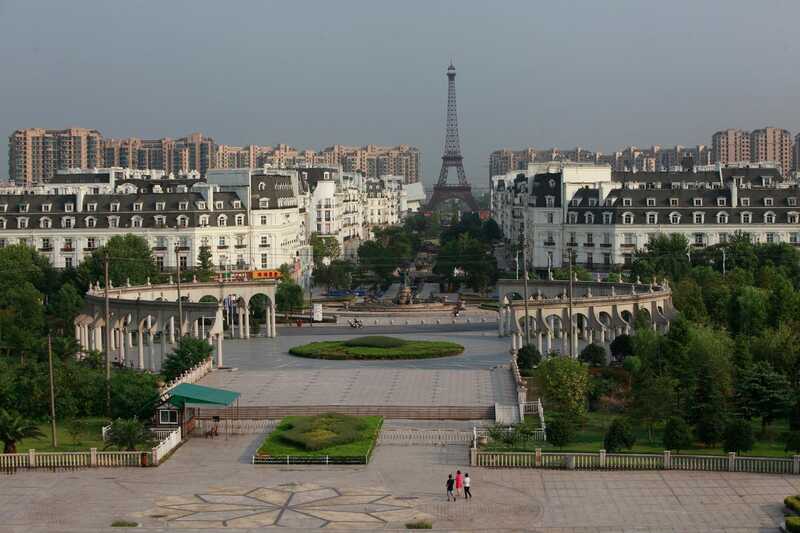 Tianducheng isn’t the only replica of a European city in China. We also have towns inspired by Italian, German and English towns. 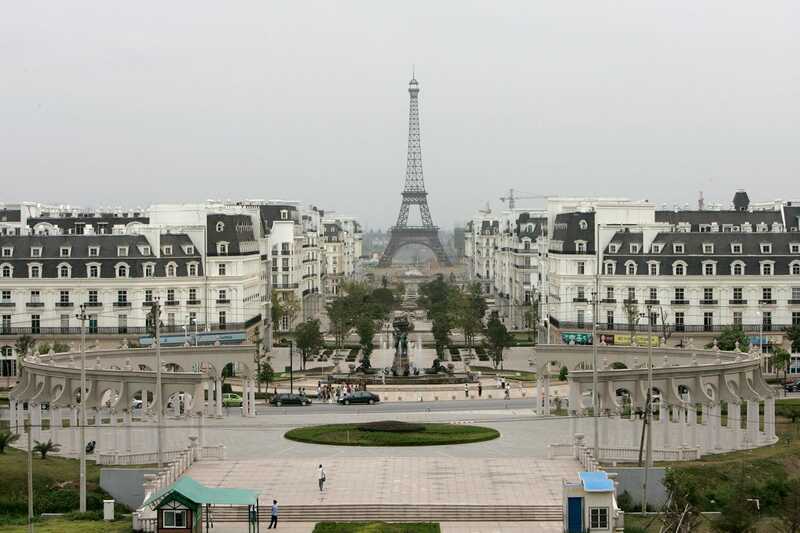 Critics of China’s growth model have said these ghost towns are symptomatic of a large property bubble. 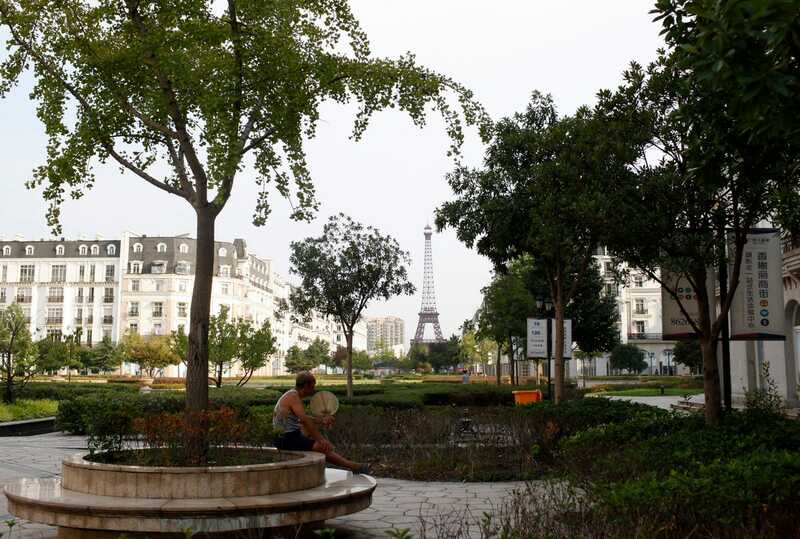 Think about the capital used to create this.. Then contrast it to something like Detroit which cant keep its post services or police operating..
Its a shame its not working ... better populated ... looks pretty good ... its a wonder they didnt build a bigger Eiffel Tower! LivinLOS, slampay and tnlawyer like this. All that city.. A gated comminuty of 12 sq miles.. and 2000 odd people to live there.. I would actually like to go ride around in china and check these ghost cities out.. Must be a really weird vibe.. Might even beat out Cao Lo. Why was this in business, money finance? took me all of 5 minutes to find it after my pc decided to play stupid twottlers and not let me post stuff??. Anyway to my point and a very good one it may be? well it better be, as I've just spent so long thinking it was worth chasing around the forum to post some drivel!!! 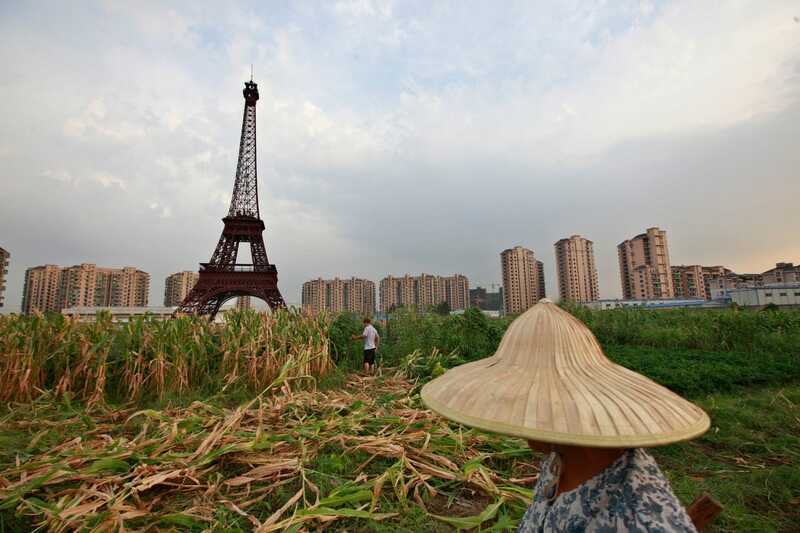 I want to meet this guy who's dream was to build Paris in China. Why? I hear some one bored at the back say!!! Because he is a vast dreamer and does not seem to suffer with my restrictions of caution. 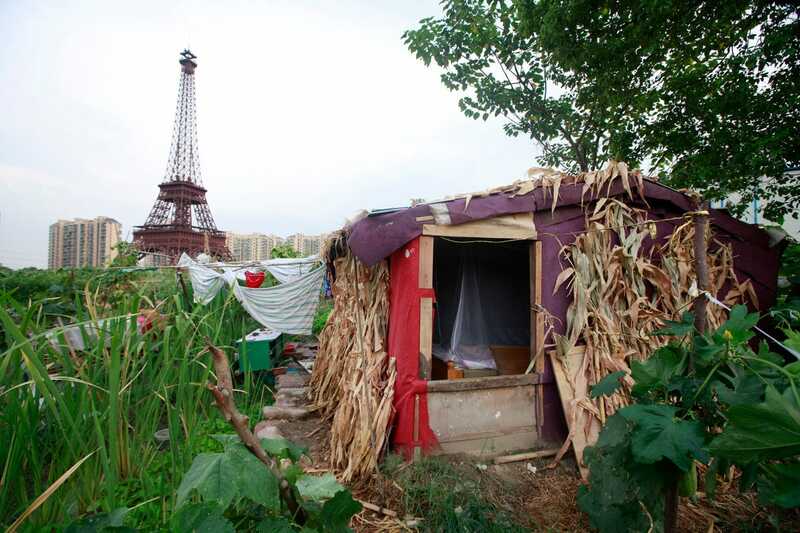 I could have had the same idea, but would have built an Eiffel Tower maybe and then a few Parisian apartments, 12 square ferkling miles of them housing loads and loads before selling a few??? I want to meet some one like this, who is so different to me, or for that matter so different to anyone I have ever met. Because this kind of malinvestment is the product of too much hot money and a trade deficit.. This is china producing the worlds goods, getting all the money and no clue what to do with it and desperate to keep the engine of growth rolling along, even if that growth is building ghost cities with no productive output. Its keynsian money in mineshafts. Central planning Dodger.. This is the kind of madness you get when free market forces and the pain of loss are removed from the equation. So then, who funded the project and the other copy-cat cities around China? Was it mainly private or public money? Regardless, I agree that it’s madness of course, but an example of traditional Keynesian economics it most definitely is not. Well as the keynsian (V Hayak) mantra is consumption drives not as Hayak argues savings.. Yes it sort of is..
And this is precisely the burying money in mineshafts example of non productive expenditure pushing into the economy. As you should know though, Keynes only pushed these "mineshaft" policies when an economy is in a recession. As far as I've read, he never advocated in favor of unproductive practices just for the sake of it, but rather as an alternative to "involuntary unemployment" during difficult times. And by all accounts, China was not in a recession in 2007. 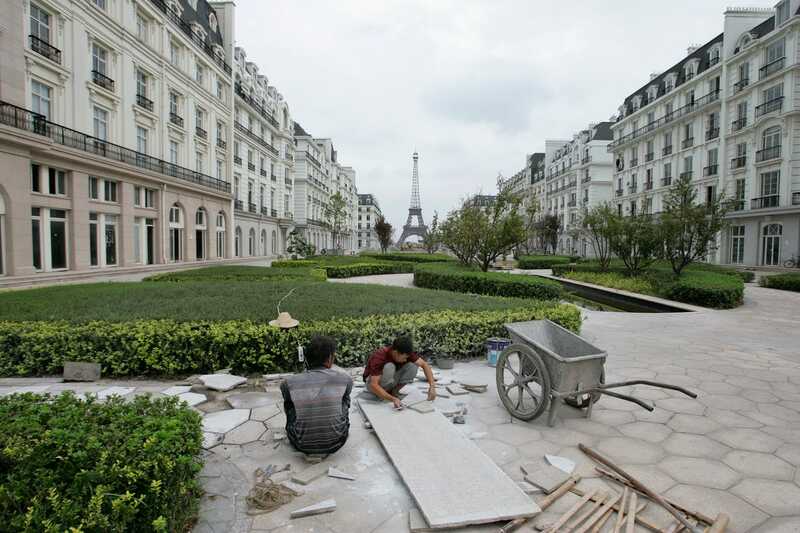 So very different forces than Keynesianism in play when Little Paris was originally conceived and built. Greed perhaps? But you do see the connection to centrally planned mal investment, purely to keep 'growth' at a target.. And buying money in mineshafts yes ?? Or Alien invasion threats ?? Which is the Keynsian link I mean. 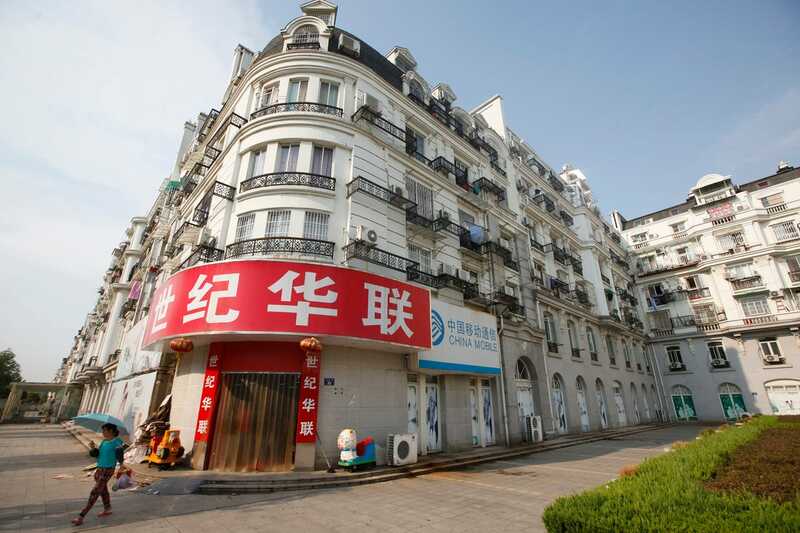 Don’t really know enough about the Chinese property markets. But if it was anything like the US or Spain in the mid-2000s, the main problem was private sector greed hunting short-term profits. Absolutely nothing to do with Keynesian mineshafts or pyramid-building or federal malinvestments in general. I’ve commented on it before, and actually think Krugman’s alien invasion hypothetical is quite clever. It would certainly shut the deficit hawks up, and mobilize earth defenses to the max. Effectively yanking us out of recession mode and the fear of that ugly debt monster. Not that different from WWII actually... Imagine, wars can create wealth? Wouldn’t make a great Lennon song though. That said, don’t really consider myself a Keynesian, but recognize that his quotes and ideas are often taken out of context and misconstrued purely for ideological reasons. And here we come to the nut of our disagreement. I think that would be a terrible waste of productive capacity.. Wealth is derived from savings being put to productive work making things the market NEEDS.. Confusing a churn of consumption as the driver instead of the end result is cart before the horse stuff.